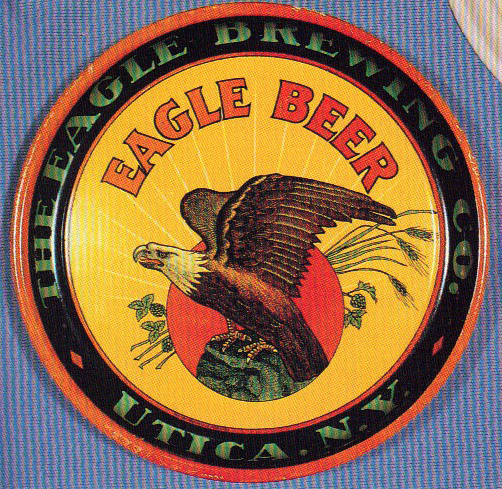 Serving Tray for Eagle Beer from The Eagle Brewing Company out of Utica, New York showing in the center an eagle standing upon a rock. The trays from Eagle Brewing with bald eagles presenting like this are very popular for their affiliation with American themes. This 13″ round dates to the 1930s and was produced by the New York Importing Co. New York, NY.